Pablo Galiesi, MD, graduated from the Catholic University of Cordoba and University of Buenos Aires. He is a specialist in Psychiatry at the National University of Buenos Aires, and graduated in Psychoanalytic, Systemic, and Cognitive-Behavioral psychotherapy. He is a former Member of the Board of Directors of the Association of Cognitive Therapy of Argentina and the Association of Argentine Psychiatrists. Currently, Dr. Gagliesi is a teacher and supervisor of clinical postgraduate psychotherapy at the Forum Foundation, University of Luján and Favaloro University and teacher and supervisor of the residences of psychiatry and psychology in the city of Buenos Aires. He is a former visiting scholar at Marsha Linehan’s lab at University of Washington Behavioral Research and Therapy Center. 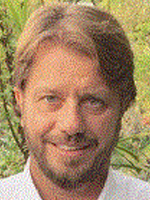 Dr. Gagliesi is currently coordinator of the Behavioral Dialectic Therapy (DBT) team of Forum Foundation.